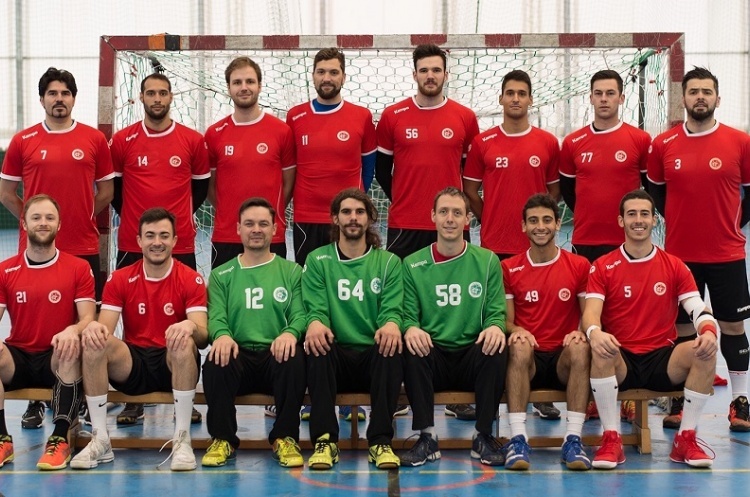 London GD kept up their 100 per cent record in the Mens’ Premier Handball League with victory over NEM Hawks. Olympia beat Nottingham, Warrington Wolves won against Liverpool, and West London Eagles and Cambridge drew. Table-toppers GD led 16-11 at the break in the match at Powerleague Trafford, and extended their advantage after the break to record a 33-25 victory. GD’s Silviu Hapenciuc and Jorge Gonzlez Duffaure top scored in the match with seven goals apiece, while Harry Morley struck six times for Hawks. Hawks lie in fifth spot in the table on 15 points, behind Cambridge on goal difference. Olympia ended Nottingham’s winning run in a thriller at Sutton Bonnington, running out 28-27 winners. Nottingham held a narrow 14-13 lead at half time. However, Olympia took a close second period to secure maximum points. Olympia remain unbeaten this season and are four points behind GD on 17 points, having played a match less. Nottingham, in sixth, are one of three teams on 15 points. Wolves returned to winning ways after beating Liverpool 25-18 in a north-west derby at Greenbank Sports Academy. Wolves edged a tight first half which finished 11-10 in their favour, before pulling away after the break. Liam Hughes beat the keeper six times for Liverpool, while Nate Green and Ryan Thomas both scored five goals for Wolves. Liverpool remain bottom, while Wolves sit in third, behind Olympia on goal difference – although they’ve played two matches more than the London side. West London Eagles and Cambridge drew 33-33 at Barking Sporthouse after Cambridge led by a single goal at half time. Eagles’ Romualdas Sakovicius scored 11 goals, while Ivan Duvancic struck nine times for Cambridge. Cambridge are in fourth, while Eagles remain seventh, but have opened up the three-point gap over Liverpool.